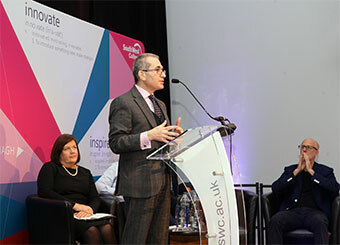 This was the central notion underpinning the announcement’s celebrations during the launch of the Institute for Innovation and Knowledge Exchange – IKE in Northern Ireland. The economy in Northern Ireland, dominated by micro enterprises and family run businesses, demonstrates a good level of enterprise formation and remains relatively healthy. However, the levels of GDP per capita - a key productivity measure - remains to be lower than the rest of the UK. And given the global competitive pressures and slow uptake of technologies that offer to improve productivity levels, such as robotics and automation, the Internet of Things and Augmented Reality, GDP levels may slip even further. 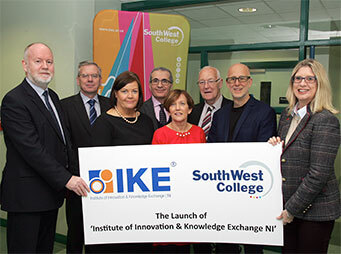 This is why the South West College (SWC) in Northern Ireland has worked closely with the Institute for Innovation and Knowledge Exchange to establish the much-needed IKE Institute NI. The College’s InnoTech Centre has been instrumental in supporting many SMEs and entrepreneurs to develop new products and services. It’s work in innovation development was recognised through the achievement of the prestigious Investor in Innovations Standard – a benchmarking framework that assessed the College’s processes, capability and readiness in innovation. SWC was also selected recently by the Department for the Economy to be the Hub for Advanced Engineering skills development. 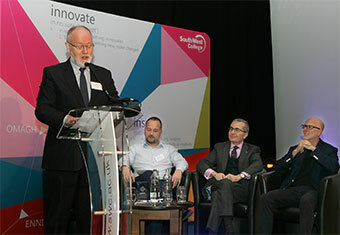 Diarmuid McLean, Director of Strategic Policy at the Department for the Economy highlighted the importance of innovation in the Department’s draft Industrial Strategy: “Accelerating innovation and research in Northern Ireland and enhancing the education, skills and employability of our people are two of the main pillars in the strategy.” He went on to highlight the central role of Further Education Colleges in the delivery of the aspirations set out in the Strategy. Beverly Harrison, Director of Further Education in Northern Ireland stressed the need for strengthening the skills base particularly in new and emerging technology areas to support the drive for innovation and emphasised the role that colleges can play to create economic prosperity. 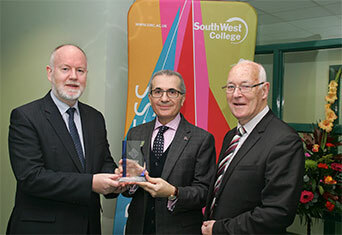 Michael McAlister, Chief Executive Officer of SWC said: “The College is the first organisation in Northern Ireland to achieve this Standard and now sits with an elite group of companies and academic institutions across the UK who have shown a commitment to innovation. Achieving the Investor in Innovation Award recognises SWC’s success in embedding innovation and a dedication to sustaining a strong innovation culture for our staff, students and industry stakeholders”. “The College offers a fantastic platform for inspiration for anyone wishing to explore how innovation might positively impact them. 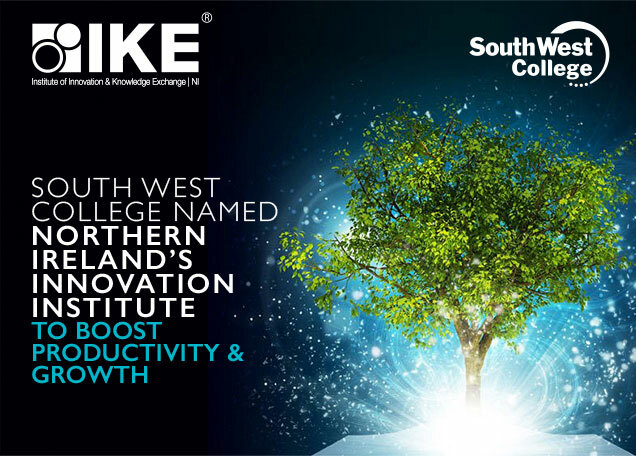 IKE NI will be offering a range of exciting innovation training programs and interventions, as well as, business solutions and knowledge exchange services.” McAlister added.